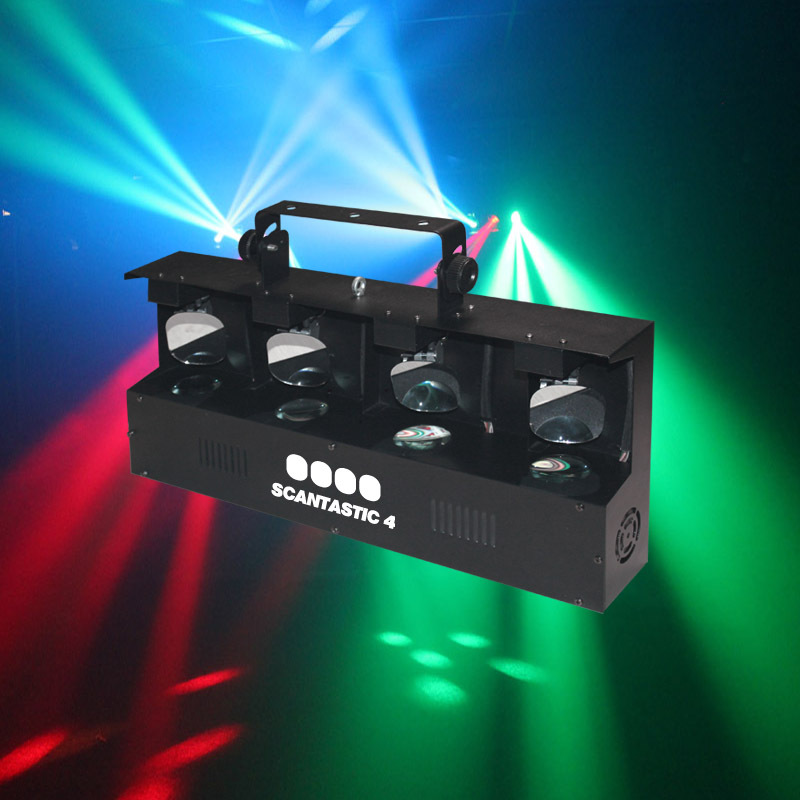 Continuing our move to energy efficient LED lighting, we have added Prolight's Scantastic 4 to our hire fleet. The unit features 4 seperate scanning mirrors, lit by 60 RGBA 5mm LEDS. With DMX control, as well a built in microphone for direct sound to light animation, this unit fills a room with bright, vibrant colour, and fast movement. Power consumption is a tiny 75W, and is quite compact at 621 x 117 x 367mm, and weighing only 6.6Kgs. Available to hire for £45 inc VAT, including transit case, and tripod stand, come in for a demonstration.